Mrs Ruchi Joshi’s teaching career of almost fourteen years has been shaped through experiences at various institutions across the country. 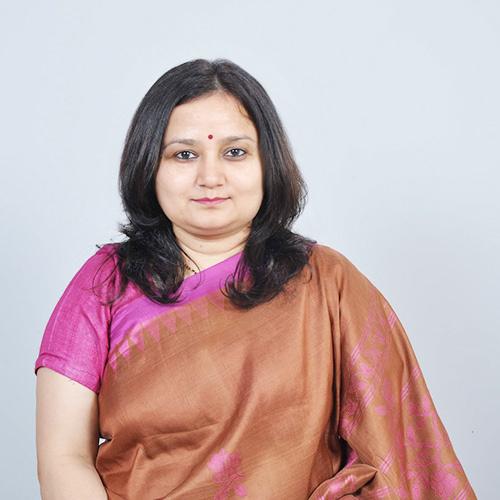 Prior to joining Lotus Valley, she was the Head of the English Department at KR Mangalam World School, GK-II, New Delhi. In her capacity as the Vice Principal, Mrs Joshi coordinates with all department heads and class representatives of Grades IX-XII on strengthening the Scholastic and Co-Scholastic domains. She is the coordinator of the English Department at Lotus Valley, and is passionately committed to building love for literature in the learners. Her endeavor to nurture languages took the shape of the School’s bilingual literary event, Mélange, in the year 2015. She is actively involved with scripting and coordinating various school functions and events, and is the Editor of the School’s Annual Magazine and Year Book. She is of the firm belief that innovation should be an integral part of the teaching-learning process. It has been her constant endeavour to enrich and enliven class room teaching by integrating art, cinema and events and happenings around the world. Her innovative lesson plans based on cartoons and stereotypes have been included by the British Council in their publication on Core Skills. Mrs Joshi is an enthusiastic learner driven by love for books. Her love for books dates back to her childhood days when she soaked in the magic of the written word with unbound enthusiasm. The thrill of the written word continues unabated in her life, and has to a large extent, shaped and moulded her as an individual. She eagerly looks forward to her classes wherein books are celebrated, art and films appreciated, and diverse perspectives and opinions find a platform. Her interactions with young minds at Lotus Valley have been a constant source of inspiration, and have provided her valuable insights into the teaching-learning process. In all her pursuits, Mrs Joshi aspires to nurture a thinking mind and a conscientious individual. She is of the fervent view that the ‘Energy of the mind is the essence of Life’. 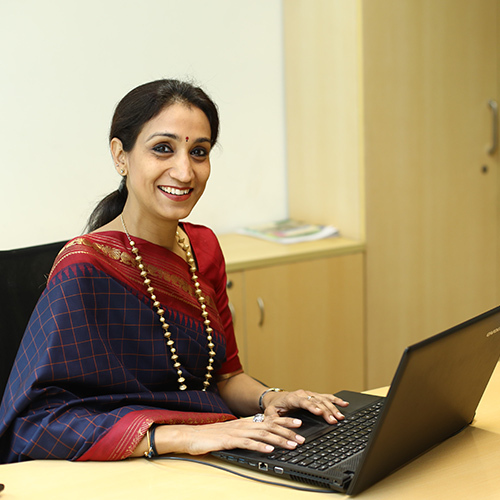 Ms. Harvinder Kaur, a passionate and enthusiastic worker with a master’s degree in Computer Application, holds a teaching and corporate experience of nearly a decade. Being multifaceted, she has played pivotal roles in management and organization of a wide range of activities and projects, be it the School Annual Excursions, the School Robotics Club, the Scholar Badge Ceremony, Investiture Ceremony, School Annual Events, Coffee Meets, Face-time and much more. She is the International Coordinator and deals with International Tie-ups of the school, Exchange programmes, International excursions and International School Awards with British Council. 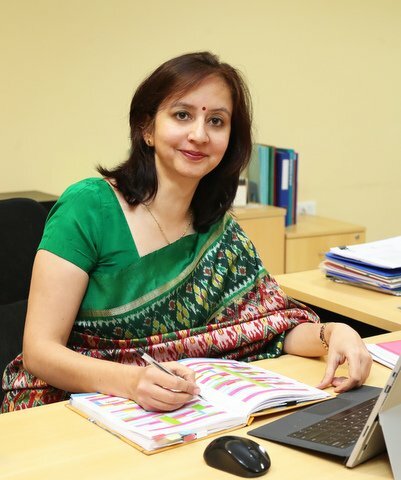 Ms. Harvinder Kaur began her journey at Lotus Valley International, Gurgaon as a class teacher and moved on to becoming the Class Rep for two years followed by the Middle School Coordinator in the year 2015-16, eventually landing into the role of Headmistress in 2016-17. The entire voyage took her through a unique but interesting journey encumbered with rich experience and learning. While continuing her work towards education and students, she wishes to paint her aspirations on a national and global canvas with multi-colours; a painting that would reflect the school’s dreams for the country and world, a painting with colours representing the ideas of students across country and continents, a painting that will depict collaborative work, a painting that will echo a global message, a painting conceptualized by children from different schools, a painting in which strokes, shades, shapes etc. 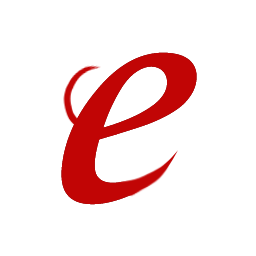 would represent the previsions, plans, forethoughts and much more. With over 12 years of experience in the Education field and interaction with children of all age groups, Ms. Ritu Jawa firmly believes in the principle of learning by doing and propagates it well through her work. According to her “Learning becomes significantly more powerful when students are given opportunities to learn in authentic and real life situations”. Lady Sriram Alumna and a Degree holder in Fashion Designing, she says “It’s essential to wear your smile and your attitude every time you step out to face the world. We can be taught to perform but it is pertinent for us to always reflect on our own actions to be able to facilitate ourselves better in novel situations”. With the background knowledge of Psychology and specialization in Guidance and Counselling, she creates a positive working environment for the learners as well as the teachers. A trained Kathak Dancer & a Choreographer, Ms Ritu has held numerous shows and uses her creative vision in bringing forth unique ideas. She has conducted several workshops on Language Development at Elementary level & Early Childhood Education and has played a vital role in designing the curriculum for Primary School. “Redefining and introspecting one’s work is an important tool for Growth and Development of any person, group or organization” she says. She has been anchoring the Annual Fashion Shows for the NGO – Tamana for the past few years, which has further given her the opportunity to interact & work closely with the specially gifted students. She says “Students are our GURUS, we learn every second from them, therefore before imparting knowledge it’s important to part from our ego and soon we will be able to find solace and answers within”.